A British filmmaker who previously work has claimed that there is no connection between HIV and AIDS has been unable to travel to Australia because a visa has not been approved. Joan Shenton was planning on attending a series of screening of her new film Sacrificial Virgins. The film argues that the sexually-transmitted Human papillomavirus (HPV) does not cause cervical cancer. In the film Shenton claims that the vaccine given to Australian students through a national vaccination program can cause “neurological damage”. Federal Health Minister Greg Hunt has labelled her claims as ““false and reckless”. While respected Australian scientist Ian Frazer said her claims were “fake news” that could lead to preventable deaths occurring. It is understood that Shenton was unable to travel possibly because she had applied to enter the country on a tourist visa. The Australian Vaccination-Risks Network (AVRN) who organised the screenings told SBS that Shenton had no intention of working while in Australia and was appearing for free. Shenton will no appear at the screenings via a video link but organisers say they are still hoping she’ll be able to get on the plane. Opponents of her film have called on Home Affairs Minister Peter Dutton to deny her entry to the country on character grounds. Gardasil, the vaccination that combats HPV has been so effective that Australia’s rates of the virus among women have dropped from 22.7 per cent to just 1.1 per cent over the last decade. Experts believe Australia will become the first country to eradicate cervical cancer in the next forty years. Shenton previously made a film Positive Hell that claimed there was no connection between HIV and people developing an AIDS diagnosis. 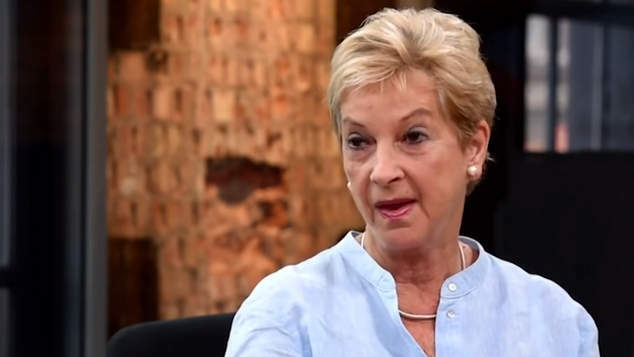 In an 2016 interview with TV program London Live Shenton denied she was an ‘AIDS denier’ saying she was simply a journalist who communicated information that some scientists believe. “Many of the LGBT groups, AIDS charities and pressure groups have become enriched over the years, mainly by the pharmaceutical industry money, in support of a theory that actually is not proven – and that is that HIV causes AIDS.” Shenton claimed. The filmmaker said the gay community deliberately suppresses information about it “endangering it’s own people” and argued that antiretroviral drugs actually harm people. Scientists and medical professionals have previously labelled Shenton’s claims as false and ridiculous.